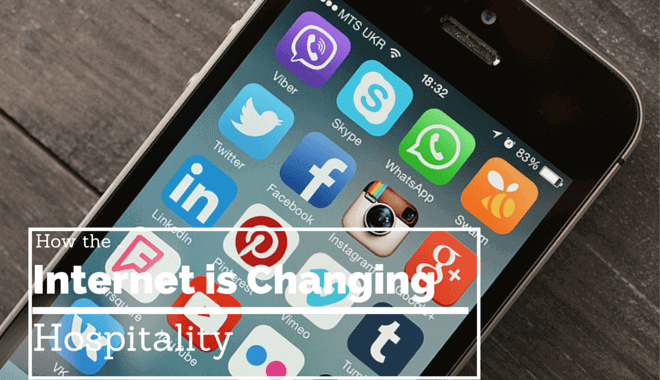 How Has Social Media Changed The Hospitality Industry? In the past 10 years, social media platforms, like Instagram, Twitter, and Facebook, have dramatically transformed how people interact with one another, as well as how businesses interact with their clientele. Hotels and other businesses within the hospitality sector must have a thorough understanding of how to use social media channels to their advantage if they wish to remain competitive within the modern business environment. The role of social media now plays an integral role in the consumer travel experience. In a recent study, it was discovered that more than half of the survey’s participants (52%) had changed their future travel plans after researching their trip via social media. Approximately 85% of travelers use their smartphones while on vacation or traveling, and 52% of Facebook users admitted that their friends’ vacation photos (posted on Facebook) had influenced their choice of vacation destination. In most major metropolitan cities, Google’s search volume for “hotels in [enter city name]” has dropped by more than 70% – in the last 6 years alone. In increasing droves, users are turning to websites like Expedia, TripAdvisor, and Kayak. 32% of travelers in the United States, and 22% of non-U.S. travelers, routinely blog about their traveling experiences. 30% of travelers in 2015 used mobile applications to find deals on hotels. Likewise, 29% of travelers in 2015 used mobile apps to find deals on flights. 92% of travelers state that they trust earned media, like recommendations from family members and friends or word of mouth, more than any other type of advertising. On the opposite end of the spectrum, only 47% of travelers worldwide state that they trust newspaper, radio, and magazine ads. 71% of global consumers say that online customer reviews are their second choice for trusted advertising. Proving that social media exercises a significant influence on hospitality bookings, of those who admitted using social media platforms to research their travel plans, a mere 48% ended up sticking with their original plans. 33% changed their hotel reservations. 7% changed their entire vacation destination. 10% changed the resort they had initially planned on staying at. 5% changed their airline reservations. 40% of consumers post reviews about the dining establishments they visit. 46% of travelers post reviews about their travel accommodations post-vacation. 76% of Facebook users have posted pictures of their vacation to their personal Facebook pages. 55% of the pages a person “likes” on Facebook will more than likely be specific to a vacation.The use of social media has affected the hospitality industry in a number of different ways, but it also offers a number of advantages. For example, it offers an effective medium for reaching a global audience. Likewise, it works 24 hours a day, 7 days a week; thereby, overcoming time zone differences. It is readily accessible by those who have Internet access and offers ubiquitous versatility for interactive exchanges with consumers. Although the method of communication has changed, social media is now the name of the game when it comes to marketing for the hospitality sector. How does the social media presence of your business measure up?